Ascending Butterfly: I am a Britax Hispanic Digital and Social Media Outreach Blogger! 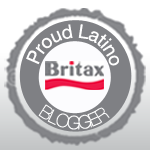 I am a Britax Hispanic Digital and Social Media Outreach Blogger! Did you notice my new blog bling? While 2012 has been especially challenging for me on so many levels, there has been a number of amazing blessings as well, and I can finally officially announce one of them, I have been selected as a Britax Hispanic Digital and Social Media Outreach Blogger! In partnership with Britax USA and Mami Innovative Media, myself and several other select Latina Bloggers will have the opportunity to attend exclusive events, host parties on twitter (and since I'm fondly considered 'The Official #TwitterPartyDJ', you know those parties are going to be fast paced and super FUN), there will be product reviews and of course great giveaways for you too! Britax is a leader in mobile safety for more than 70 years, with a legacy of leadership in developing innovations that enhance the safety of child car seats and improve their ease of installation and use. Britax not only manufactures car seats for the general public but also for the medical community to service children with special needs! I don't know if many of you know this, but I was a Special Education teacher in the past and finding a brand that makes strides in developing products for children with special needs is definitely important to me! The seats for children with special needs are distributed through Snug Seat, Inc. 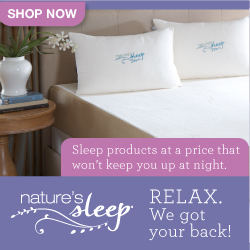 They have been distributing products for children with special needs since 1987. For more info on Snug Seat by BRITAX products visit: www.snugseat.com. Even if English is your first language, I'd appreciate you giving them a like on both pages. I think this is a great initiative that deserves our support as it is for the benefit of children around the world! I will be a part of a few 'Brand Ambassadorships' this year that I am very excited about so there are more announcements still to come, but I am so excited that everything is finally in place and I can share about this exciting campaign with my butterflies! And as always I thank each and everyone of you, because I have the best readers, readers who are social media savvy, always engaged and active, brands continue to take notice of our community of inspiration seekers and want to be a part of it. So keep telling them 'Ascending Butterfly sent me', and I'm sure the blessings will continue to grow for all of us! @Ms. NY Belleza Latina - Thank You! I'm super excited for this project and happy to be a part of it!